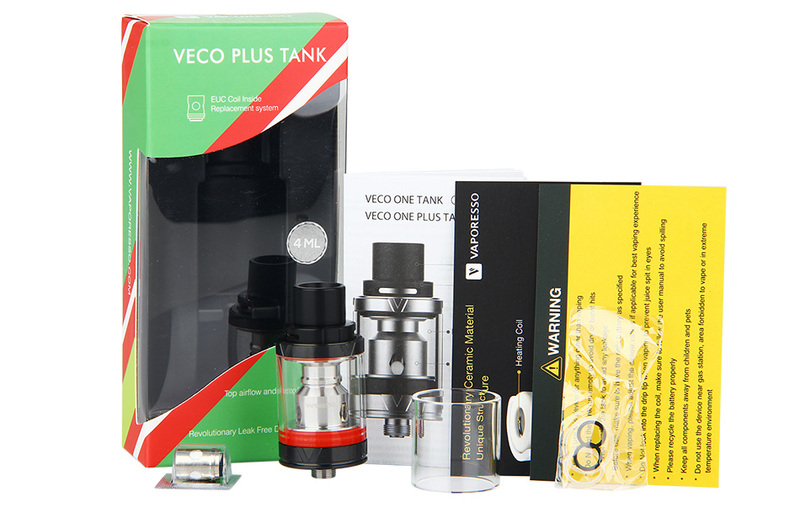 Vaporesso VECO Plus Tank is a sub ohm tank with 4ml e-juice capacity, which features adjustable top airflow, leak proof design and EUC Coil system. It works well with Tarot Nano and VECO One Plus. Black and Steel colors. Vaporesso VECO Plus Tank is a sub ohm tank with 4ml e-juice capacity. Featuring an adjustable top airflow, leak proof design and EUC Coil system this tank is something else. It works well with Tarot Nano and VECO One Plus. Black and Steel colors.